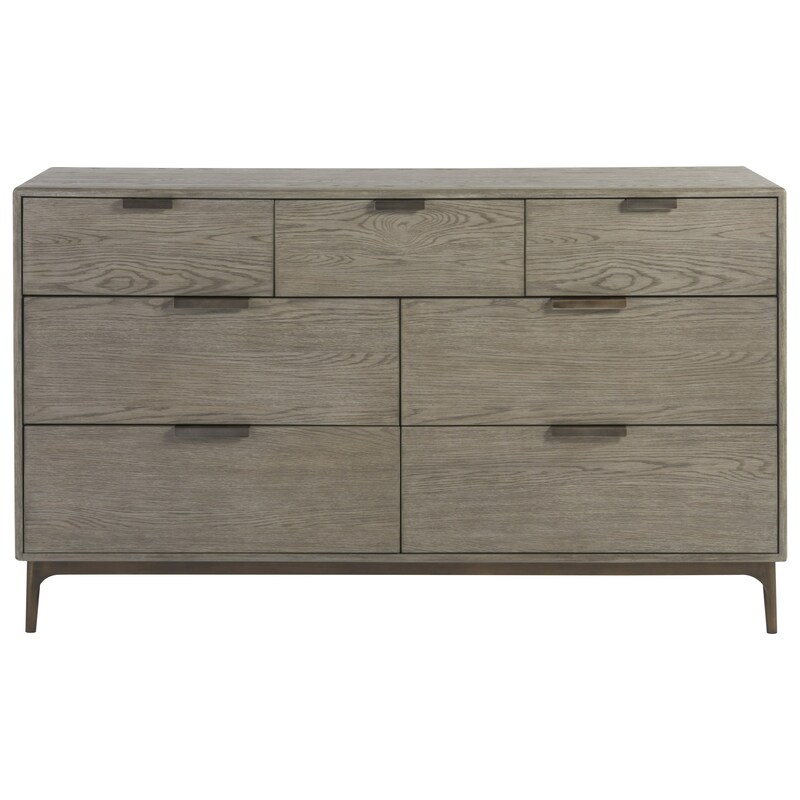 Bring a cool, contemporary atmosphere to your bedroom with the Lawson Dresser. The piece is bathed in a Granite finish that allows the natural grain of the oak veneer to shine. As storage goes, you receive a total of seven drawers with cedar bottoms in the bottom drawers. 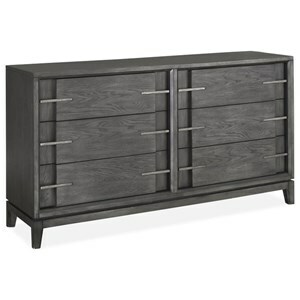 The Spaces Granite Lawson Contemporary Dresser in Graphite Finish by Universal at Reeds Furniture in the Los Angeles, Thousand Oaks, Simi Valley, Agoura Hills, Woodland Hills, California area. Product availability may vary. Contact us for the most current availability on this product. Browse other items in the Spaces Granite collection from Reeds Furniture in the Los Angeles, Thousand Oaks, Simi Valley, Agoura Hills, Woodland Hills, California area.